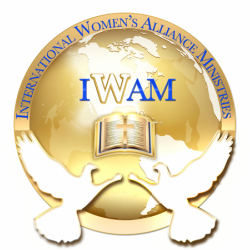 Welcome to International Women's Alliance Ministries, Inc. It's a New Day and a New IWAM! Get Ready to Ascend to Higher Dimensions in the Spiritual Realm. Let IWAM Help you to Move Your Vision-F O R W A R D! We are a 501(c)3 tax exempt non-profit public charity, community services and resources organization established for the purpose of developing community outreach programs through a network of individuals in Mentoring, Media, Marketing, Ministry, Music, Military & Missions who are working together and supporting our community outreach programs through connection, communication and collaboration! ​Basic and Affiliate Membership is $40.00. Lifetime Membership and VIP Membership options available. We are here for you through prayer, community services support, information and resources to help you to do what you have been called to do. We are here to serve...not to be served! Join us...we are changing lives nationwide and improving the quality of life for people in our communities and beyond! Dr. D Tyler Brown, Apostle, D.Div., ThD.